BUY ‘Sarkodie – Certified’ Available On iTunes / Apple Music. Certified is a single off Sarkodie’s 5th studio ALBUM Highest . 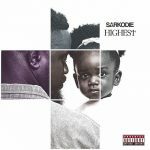 He features two Ghanaian rappers Jayso and Worlasi on this one. Take a listen , drop a comment, purchase and share.